One Omaha producer found a very lovely way to use those little boxes with reporters’ pictures in them. 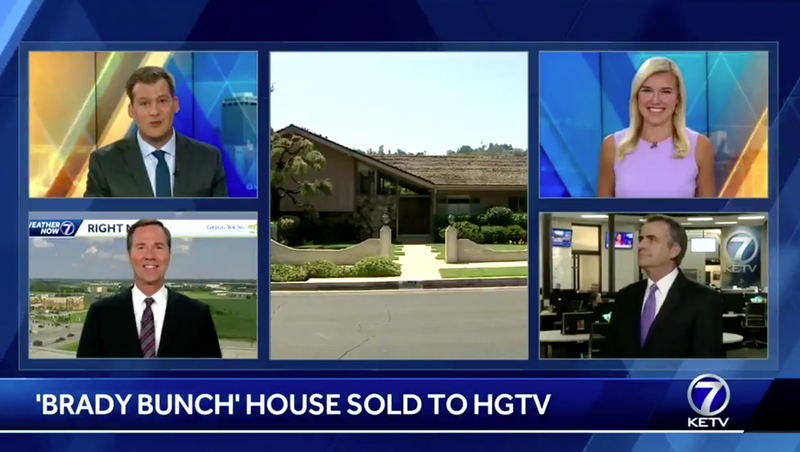 When it came time to cover HGTV’s purchase of the “Brady Bunch” house, Tanner Kahler, a producer at Hearst’s KETV, decided to recreate the show’s iconic opening sequence with what has to be the most spectacular uses of a “five box” ever. Kahler opted to have an image of the house, which was used for exterior shots of the sitcom, in the large center box, while two anchors, a forecaster and reporter all appeared in the four smaller boxes around it. In true Brady fashion, everyone spent some time “looking” above, below and side to side in their respective frames. In TV news, boxes are often used for showing an anchor and reporter or guest on screen at the same time — and some stations have taken them to the extreme.